The curse that did not happen. Balaam mounted his female donkey and left with the messengers. An angel, sent by the Lord, stood on the road with a drawn sword. 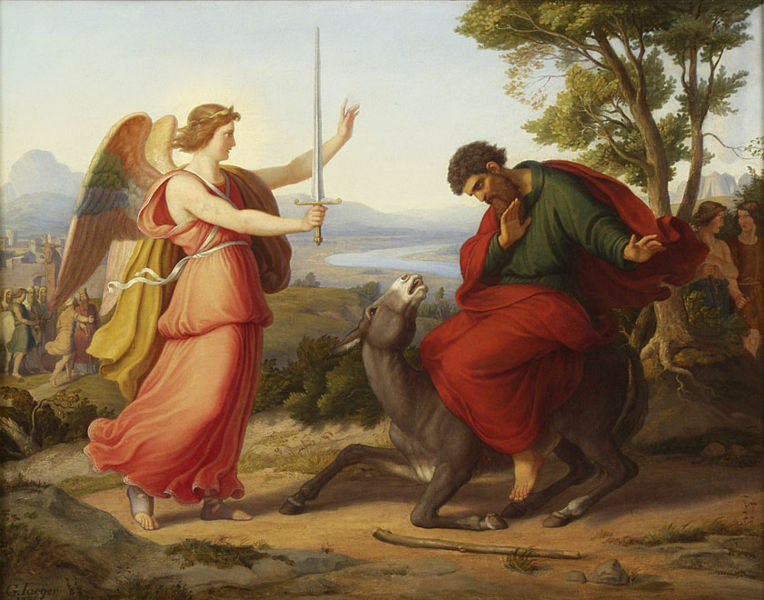 The donkey saw the angel and swerved aside, refusing to continue, even when Balaam hit her with his stick. The donkey, granted by God the power to speak, complained to Balaam against his ill treatment.